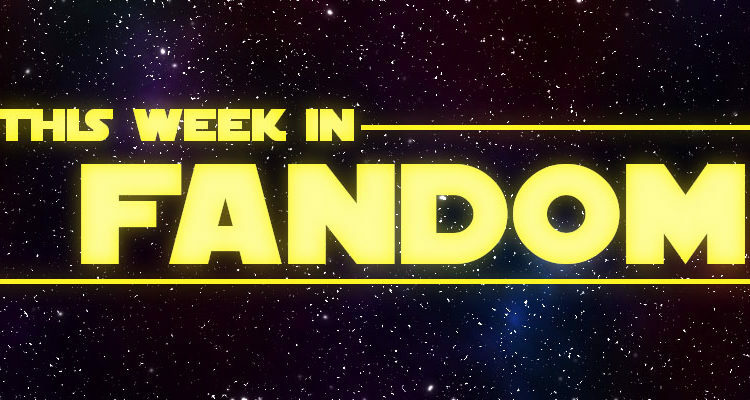 Welcome to This Week in Fandom, the OTW’s roundup of things which are happening! This week, there’s been even more discussion of angry fans and the “toxic fandom” issue, so we’re going to take a look at three stories that explore different elements of this topic. Gamers are upset over recent plot developments in the MMORPG World of Warcraft. (Warning for spoilers at the links in this section.) This week, it was revealed that instead of occupying the world tree Tel’drassil as planned, Horde Warchief Sylvanas burned it out of spite, leading to the deaths of hundreds of civilians. As PC Gamer explains, this “is easily the most controversial moment in World of Warcraft’s history.” Because of a statement from game director Ion Hazzikostas that the world of the game is “a world of grey, it’s never been a world of black and white,” players had expected more nuance behind this event. When that turned out not to be the case, people were angry. That one controversial scene has sparked enormous backlash across Warcraft’s official subreddit and forums. Each is completely overrun with threads from players criticizing Blizzard or championing one interpretation or another. On Twitter, World of Warcraft novelist Christie Golden had to “step back” from social media due to the vitriolic harassment she was receiving even though she confirmed she had no oversight on the Warbringers story. One of the most popular threads on the official forums encourages players to cancel their subscriptions as a form of protest. But perhaps Blizzard is just following the current trend of villains? Digital Spy recently published an article about how movie villains have more and more frequently been disgruntled fans: “In the past decade, though, a new kind of villain has started to appear – one that’s easily recognisable to a certain type of movie obsessive, because they see them every time they look in the mirror.” Starting with The Incredibles and Syndrome, the article analyzes how villains have been bent on destroying the things they once proclaimed to love. Kylo Ren was so targeted at a section of the fanbase in The Force Awakens, we’re surprised the Star Wars boycott didn’t start the moment the credits rolled at the premiere. JJ managed to slip in a tantrum-throwing original trilogy obsessive who was so subservient to the memories of the past, he literally killed Han Solo. How were there not riots? This marginalised group seemed so happy about finally being represented on screen they didn’t kick off until The Last Jedi, which repositioned Kylo as a character who was prepared to forget the past and move on with his life. In Star Wars: Revenge of the Incels, Gordon-Levitt is replaced by a young Rian Johnson, who is investigating the death of Kelly Marie Tran’s social media presence. Along the way, he encounters J.J. Abrams, Kathleen Kennedy, Daisy Ridley, and angry incel fanboys struggling to make their own The Last Jedi. The short perfectly captures the feel and tone of Brick, even using the same locations in which Johnson shot the film. The film is probably bizarre to those unfamiliar with Brick, but it does portray racist and misogynistic fans as ridiculous and prone to in-fighting (sometimes over porgs). Which portrayal do you prefer–villains or fools? Or something else entirely? Let us know in the comments! We want your suggestions! If you have a story you think we should include, please contact us! Suggestions are welcome in all languages. Submitting a story doesn’t guarantee that it will be included in a TWIF post, and inclusion of a story doesn’t mean that it is endorsed by the OTW.